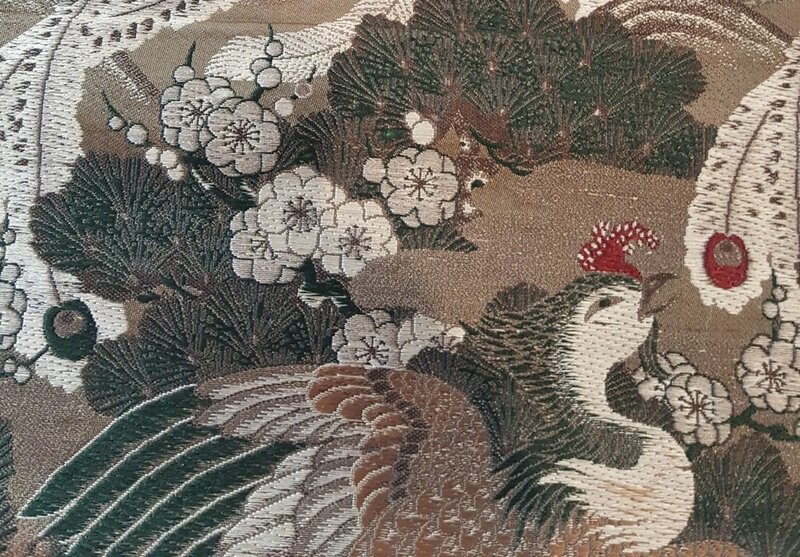 Over the recent centuries Japanese was influenced through trade and diplomacy by Asian nations renowned for their textiles. Then the trickle of European influence prior to the 1850’s burst into a flood after the opening of Japanese trading ports in 1854. The Japanese class structure has its own very strong impact on textiles. The military government which ruled up to 1868 instituted a rigid class system dictating the materials and dyes suitable for each of the social group. Only those in the highest levels of society could wear silk lawfully. This would mean that a farmer producing silk, would not be able to wear garments of the fibre he cultivated. The Elite social classes were able to commission complicated and varied fabrics in rich silk brocades to the flimsy gauze weaves. Dying emerged as an art form, as did needlework. On the other hand, the majority of Japan’s population sought materials which were affordable and easier to access, which gave rise to very distinct and recognisable regional specializations. Although it may be thought that one could not rival the other in artistry or creativity, both branches of textile art can be appreciated for the quality of the workmanship and design. Over the centuries, in the endless quest for the beautiful and the novel, the Japanese developed or adopted countless ingenious weaving and dyeing methods , many of which survive in some form today. This fabulous video shows the various stages of the making of a handmade kimono. So many processes, so many specialist skills.